A new study has claimed that A-List celebrities could be a major contributor to childhood obesity levels due to their endorsements of massively unhealthy foods and drink. The study found that more than four out of five products which were endorsed by high-ranking celebrities contained absolute minimal nutritional value, if any at all. According to the Daily Mail, the most common items to be endorsed by musicians and actors were sugary drinks, fast food and sweets – signalling a pretty obvious link to the continuing obesity epidemic in first world countries across the globe. 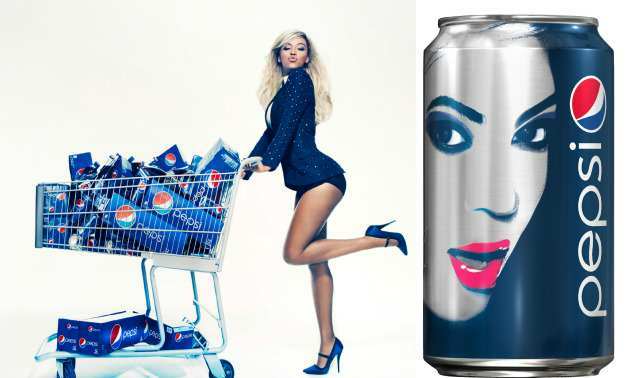 Beyoncé, Katy Perry, and Nicki Minaj have all endorsed PepsiCo which has been at the focal point of the childhood obesity row for numerous years now – but the study claims that the influential singers could be just as at fault as the manufacturers. These celebrity endorsement deals are often worth millions of dollars each, suggesting companies find them critical for promoting products. Given the heavy targeting of adolescents and the amount of money they spend on foods and beverages, voluntary food marketing reduction pledges should expand to include teens. It is estimated that food and drink companies spend an average of $2 billion (£1.2bn) a year on campaigns, just to target the young. The UK’s Committee on Advertising Practice somewhat stated the obvious when they recently revealed that advertising has a ‘modest’ effect on children’s eating habits, with a third of children at higher risk of illness and early death due to being overweight. It wasn’t too long ago when Beyonce released ‘Don’t Hurt Yourself’. I won’t hurt myself, but I might end up pretty wrecked by bingeing on your endorsement products. After this, we can’t help but wonder if Lemonade was just a massive endorsement campaign?